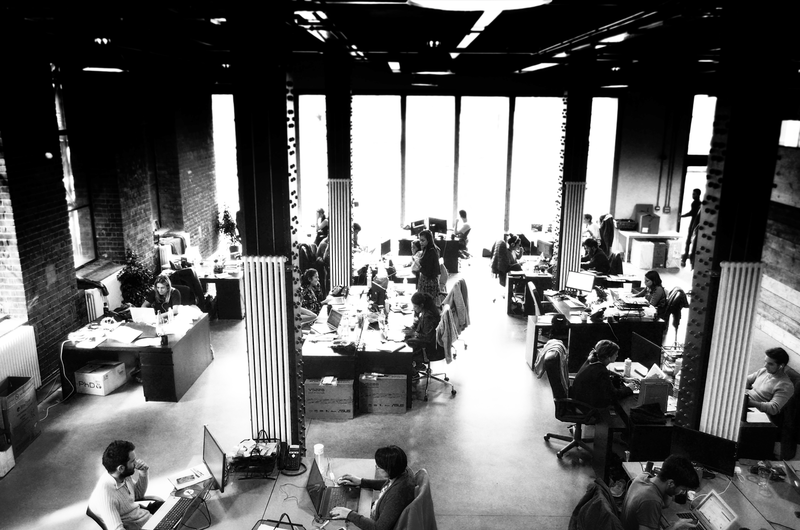 Hire Space has grown to become the UK’s leading venue marketplace, with over 4000 venues and over 2 million web visitors. But how did it all begin? The idea for Hire Space came about when Will was a secondary school teacher, and Ed was a political advisor. Will's school had recently been forced to turn to emergency funding, and Ed was campaigning to save recession-hit venues from closure. They decided that a solution for both problems could be to help these struggling businesses to rent out their unused spaces to create extra revenue streams in order to keep them viable. 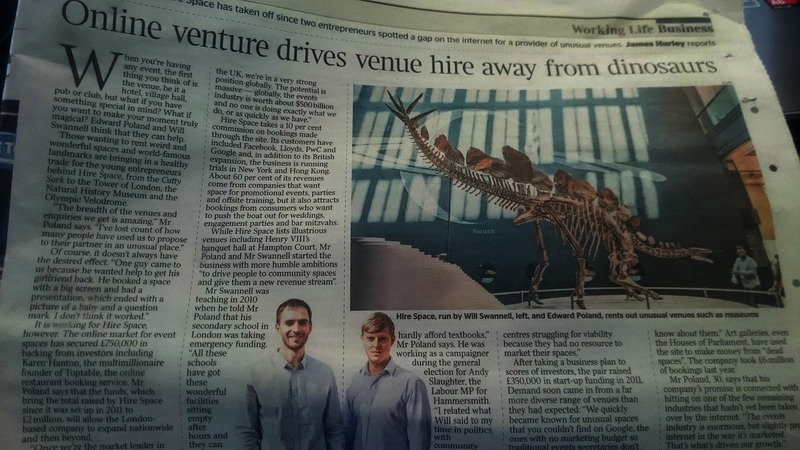 So they raised £150,000 to start Hire Space. 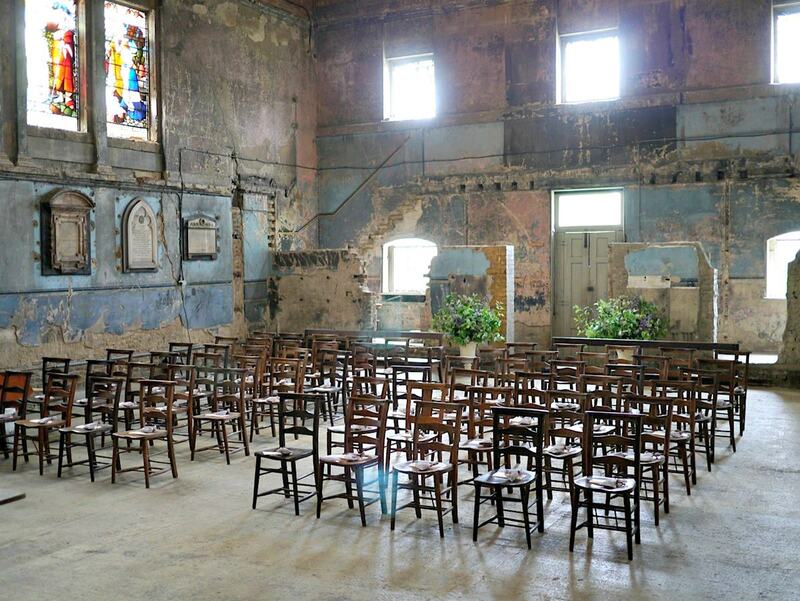 The first venues on the site were schools, community centres and church halls. Hire Space was a brand-new concept at the time and gave venues on the site the means to market themselves effectively and to differentiate themselves from more mainstream event venues. As a result, customers were attracted to the unusual venues on the website that they wouldn’t otherwise have found. It also started to draw some unusual enquiries, there was even one from the Russian Olympic pole-vaulting team looking for a very tall warehouse in which to practice. The site became synonymous with fresh, exciting venues and has developed into the go-to marketplace where all new venues go first, including iconic London landmarks such as Westminster Abbey, the Olympic Stadium and the Tate Modern. Hire Space launches in Manchester. 2015 saw Hire Space raise over £1 million from angel investors and expand to <a href="http://www.eventmagazine.co.uk/hire-space-targets-liverpool-birmingham/event-suppliers/article/1336144"_blank">Liverpool and Birmingham. Partnered with Time Out to provide monthly content on London's <a href="http://www.timeout.com/london/blog/five-awesome-new-venues-to-check-out-in-may-042916"_blank">best new venues and the Capital's <a href="http://www.timeout.com/london/nightlife/office-party-venues-in-london"_blank">best office party locations. Things all get very exciting. So far this year Hire Space has almost <a href="http://www.meetpie.com/Modules/NewsModule/newsdetails.aspx?newsid=21957"_blank">doubled in size to a 37-strong team and moved to a pretty awesome new office. and now, most importantly, we had our first successful crowdfunding round.